A new year is the perfect time to set new goals and organize your life, including your blog work. 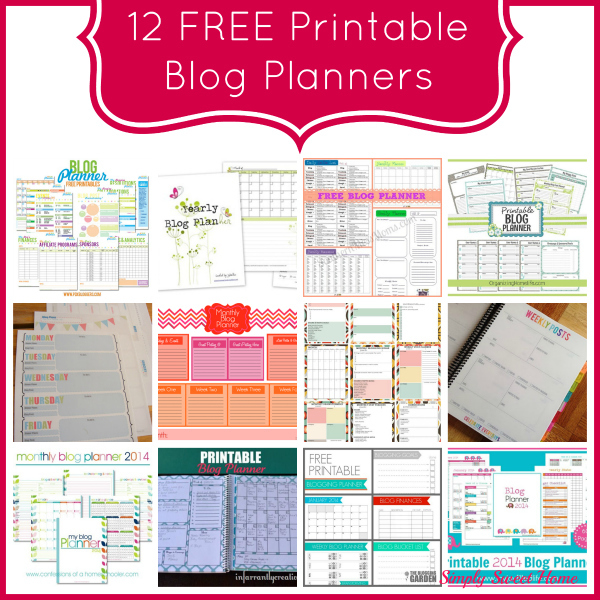 Today I have a collection of 12 FREE Printable Blog Planners. In this collection of planners, there is a variety of fun colors, designs, and layouts. And we only only have monthly and week planners and post planners, but there’s also pages for documenting your blog’s finances, goals, track stats, and make notes about sponsors and giveaways! Anyway, I wanted to post about it because (1) it is something that I’ve thought about doing for a long time and I’m really excited about it and (2) I know there are a lot of people that are curious about it (as I was for the longest time). In fact, I’ve already gotten a couple of emails inquiring about my move, so today I just want to take a few minutes to talk about that for anyone who may be interested in swapping themselves.